Three people missing in an inactive coal mine in Clear Creek, West Virginia, were found alive Wednesday after being reported missing four days ago, authorities said. The three had been trapped in the Rock House Powellton mine, which has been inactive for about two years, according to a source familiar with the mine. 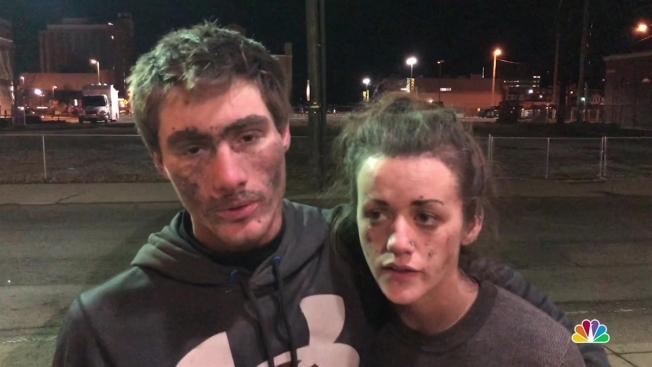 A sheriff’s spokesman said it's illegal to enter an abandoned mine, and the mother of one of the three missing said she believes they were in the mine to steal copper. Samantha Smith, a spokeswoman for the West Virginia Department of Commerce, said in a statement that the Office of Miners' Health, Safety and Training confirmed they were found alive and would receive medical treatment. The three missing people were identified as Kayla Williams, Erica Treadway and Cody Beverly. Video showed at least one person being loaded into an ambulance and being embraced by family and friends.